Research shows that even individuals committed to equality harbor unconscious biases that impact everyday decisions and interactions. In the IT workplace, unconscious gender bias can mislead employers, both male and female, to make inaccurate judgments in hiring, performance reviews, and promotion. In this session Gail Farnsley, Executive Partner with Gartner, will explore Unconscious Bias and share ways you can make a difference in your workplace. 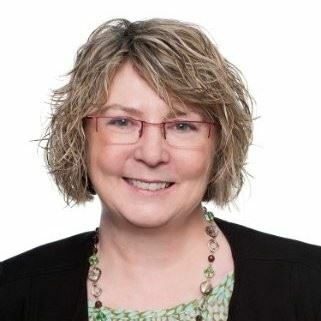 Gail Farnsley is an Executive Partner with Gartner Executive Programs. In this role, she partners with CIOs and other executive clients as a trusted advisor to provide expertise and guidance to help them achieve their business objectives. Most recently, Ms. Farnsley led the Affinity Group Alliance for the National Center for Women & Information Technology (NCWIT). In this role, she worked with affinity groups and networking organizations across the globe to share promising practices, establish an international communications network, and provide members access to cutting-edge research-based strategies for recruiting, retaining and advancing women. Prior to joining NCWIT, Ms. Farnsley was a visiting professor in Computer & Information Technology at Purdue University. While at Purdue, Ms. Farnsley co-taught a Women in Technology course and developed a CIO leadership course and a study abroad program to take students to India over spring break to learn about the Indian IT services industry. Prior to joining Purdue, Ms. Farnsley was VP of IT and CIO at Cummins. Before her appointment as CIO, she worked in various IT roles, including an assignment in the U.K., where she led IT for Europe, the Middle East and Africa. Prior to Cummins, Ms. Farnsley spent nine years with Georgia-Pacific, worked as an analyst at Emery Airfreight, and began her career as a programmer at Public Service Indiana.